To evaluate precision and recall rates for the automatic extraction of information from free-text pathology reports. To assess the impact that implementation of pattern-based methods would have on cancer registration completeness. Over 300,000 electronic pathology reports were scanned for the extraction of Gleason score, Clark level and Breslow depth, by a number of Perl routines progressively enhanced by a trial-and-error method. An additional test set of 915 reports potentially containing Gleason score was used for evaluation. Values for recall and precision of over 98 and 99%, respectively, were easily reached. 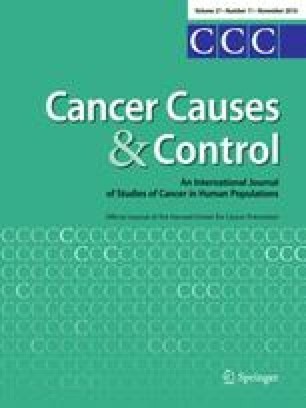 Potential increase in cancer staging completeness of up to 32% was proved. In cancer registration, simple pattern matching applied to free-text documents can be effectively used to improve completeness and accuracy of pathology information. The Northern Ireland Cancer Registry was funded by the Department of Health, Social Services and Public Safety Northern Ireland (DHSSPSNI), at the time this study was completed. It is now funded by the Public Health Agency. We also wish to thank Alejandra González Beltrán for her stimulating comments on this paper. The Northern Ireland Cancer Registry was funded by the Department of Health, Social Services and Public Safety Northern Ireland (DHSSPSNI), at the time this study was completed. It is now funded by the Public Health Agency.